When I'm thinking of my friend Elisa, immediately I visualize in my mind: fields of flowers, sunny days, carefree and happiness. She is a romantic girl. For her birthday I create a bag for her style: romantic, girly and sunny. Happy birthday Elisa!!!!!!! 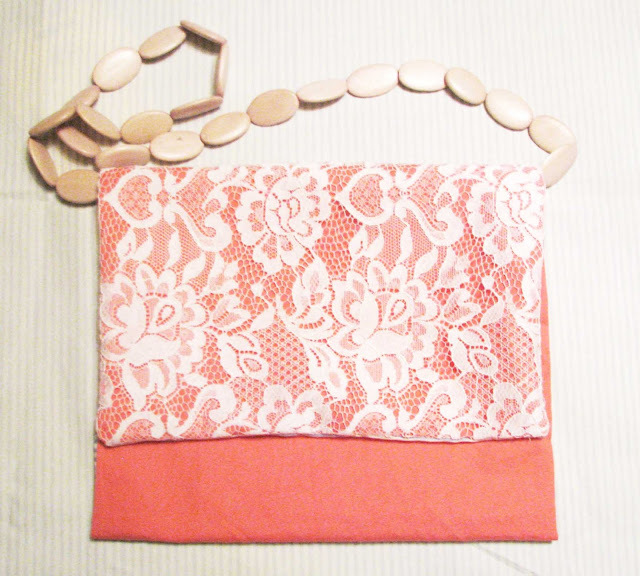 Velvet Elisa bag: cotton fabric, lace and pink wood beads. I love this tangerine tango color!!! !